Qustodio is easy to use, offers a huge range of options and is the most complete parental software we have tested. There are cheaper alternatives but Qustodio is worth the extra money. 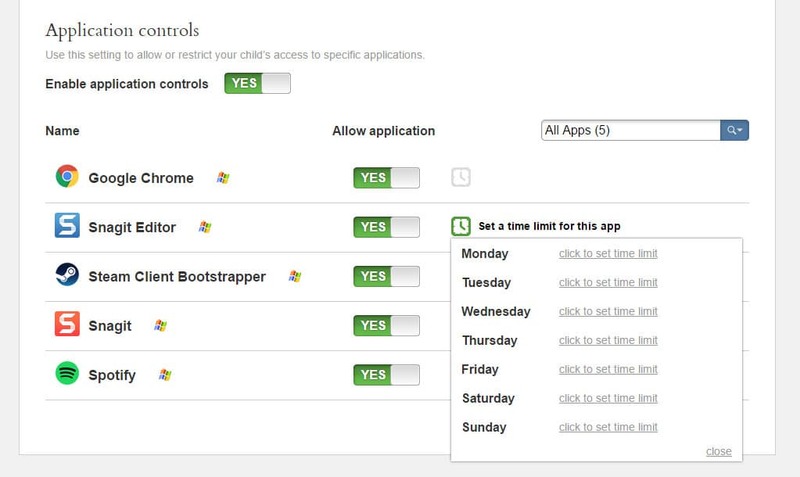 Qustodio may have a silly name, but its parental control software takes its job very seriously, and the effort shows. Qustodio offers one of the most comprehensive list of features we’ve seen on a parental control software suite yet, but also comes with an equally imposing price point to back it up. Is this software a little too rich in the wallet for what you get, or will its stellar web dashboard and filtering capabilities be enough to justify the cost? Read on in our Qustodio parental control review to find out! Getting Qustodio set up was a pretty simple process to go through compared to other parental control options, and we even came across a few surprising innovations along the way that we haven’t seen before. To start, we signed up for an account on Qustodio.com (right from the front page) and downloaded the Windows 10 client. After the client was downloaded, our browser then automatically navigated to our first profile setup without us having to lift a finger. 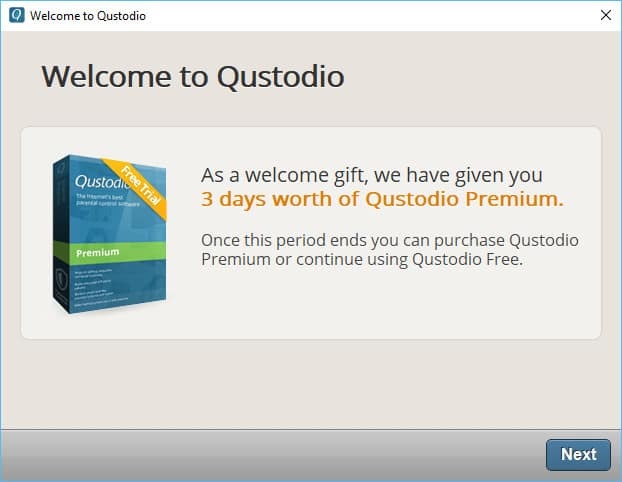 Also, after the installation we were surprised to find out that Qustodio had ever-so kindly upgraded our membership to a Premium account without us having to ask (or even enter a credit card number). This essentially amounts to a trial period, but the fact that they didn’t make us punch in any financial information in order to get access was certainly a nice touch. An option we encountered during the desktop install process that hasn’t been seen anywhere else before was a box you could check in setup labeled “Don’t let anyone see Qustodio has been installed on this computer”. This prevents the Qustodio app from appearing anywhere on that user’s profile, so if necessary, you can run the monitoring software without the intended monitoree being any the wiser. Qustodio also applies this same level of ingenuity to its social network monitoring setup process when you’re getting the the Facebook account linked iup. While some software requires you to know your child’s password in order to get in (or use a computer where they’re already logged in), Qustodio acts as an additional app that can integrate into the rest they’ve already got running on their profile. 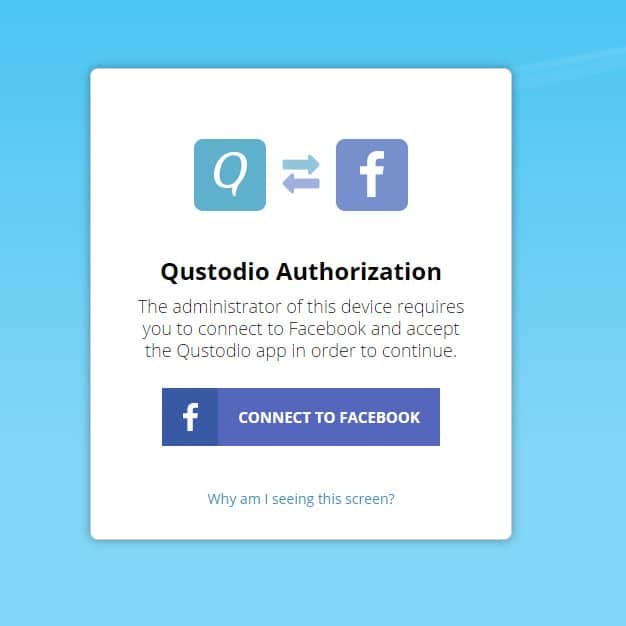 The request to add the Qustodio app will appear every time they try to log into Facebook from the monitored device. If they deny the request, they won’t be able to access their profile until the “Connect to Facebook” button is pressed. Once we were through the setup and had all our profiles loaded and ready to go, it was time to dig into the program itself to see what it could really do. We’ve seen great web dashboards, and we’ve seen clunky ones, but we’ve yet to see something as clean and intuitive as what Qustodio’s brought to the table here. It’s difficult to talk about the user experience without also mentioning bits of the setup process as well…and I’ll explain why. Unlike other parental control software which gives you the option to set everything up ahead of time (category limits, blacklisting, etc), Qustodio encourages you to let your little one run wild first for awhile, and then after a few hours or a day or so of stealthy monitoring (remember, they won’t even know it’s there if you don’t want them to) you set up rules based on the content they viewed when they thought they were unrestricted. 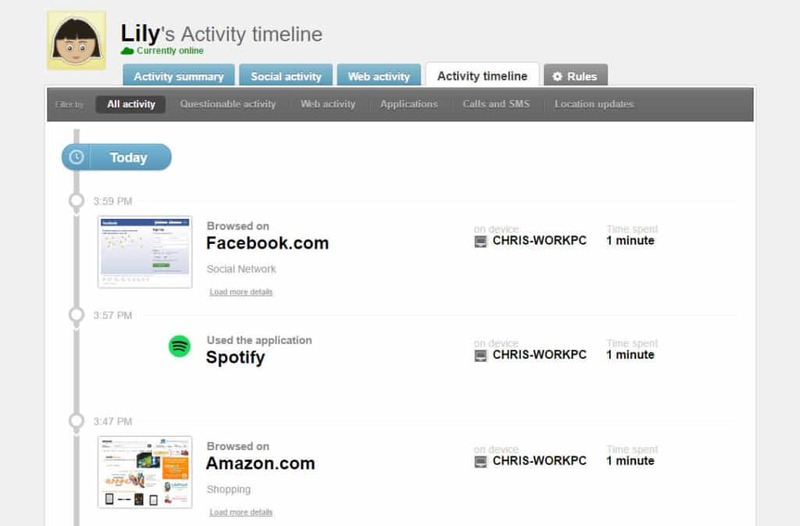 This makes it far simpler to see exactly which apps they’re on and for how long, as well as what websites they’re visiting or social features are being used. Once these have been logged (complete with their own corresponding logos), you can then go in after the fact and set individual rules per application. Because you have a rough idea of how much they actually play a particular game or browse on certain websites, it gives you a better indication of what limits make sense for everyone involved. Once you have the list of programs that the child uses most, you can set each program to have their own individual day limits. Say, Minecraft for one hour on weeknights but three hours on weekends, and so on. You can also do this with websites, allowing an hour and a half of Twitter, half an hour of Facebook, etc. This is all handled with an icon of the program next to a big green toggle, simple enough for even the least tech-savvy parents to understand. Speaking of easy to understand, the way that Qustodio lays everything out in the timeline is second to none. It may not seem like a huge difference from the wall of text we’re used to in most applications, but having something like full-page previews in the timeline of your child’s web browsing history, paired with a Web of Trust certificate, just gives you that extra sense of security about whether the domain is safe for them or not. 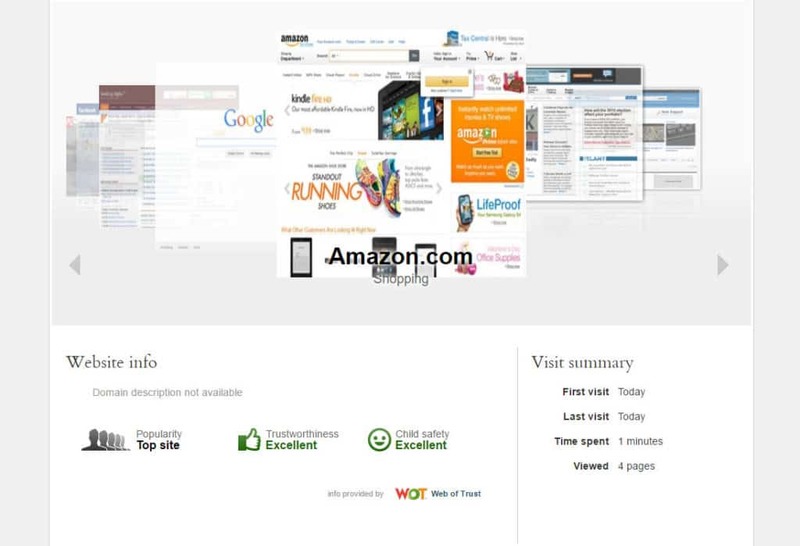 The mobile user experience was just as good as what we saw on desktop. The iOS app in particular I think gets to take home the award of “Prettiest Parental Control App We’ve Seen”. There’s no trophy, but it’s a pretty high honor nonetheless. Everything works in a way that makes it easy to quickly monitor activity with just one thumb, and navigating from setting to setting was a breeze. One small issue we hit is that you aren’t able to actually change any configurations inside the app, but a browser will launch where you’ll input your credentials one more time to get to the configuration dashboard instead. On iOS, Qustodio suffers from the same problem as any other parental control software does, in that it’s impossible to really control anything except what happens inside the Qustodio app/web browser itself. Still, the company still does what it can to make it as flexible as possible, adding not only monitoring and SafeSearch features, but also the option to invoke scheduling hours which shut down the browser if they’re trying to surf outside designated hours. Android is of course much more flexible than that, letting you control just about every aspect of their mobile experience. The device’s data throughput is all passed through the Qustodio app first, which means that SMS and call monitoring are possible, as well as monitoring any activity that happens across the device. This includes what apps are installed, how long those apps are used, what terms are being searched for (browser-agnostic), and web history from any browser (not just Chrome). Location tracking works for both iOS and Android devices just as you would expect, and can be configured to report in every (x) minutes or hours depending on your preference. Another welcome surprise on the feature side was the addition of a panic button. The “Panic!” button works like this: you add up to four trusted phone numbers and email addresses into your child’s device. If the child is ever in trouble, they can either press the Panic! button or click their headphone mic three times, and everyone on that list will immediately be notified that something is wrong. 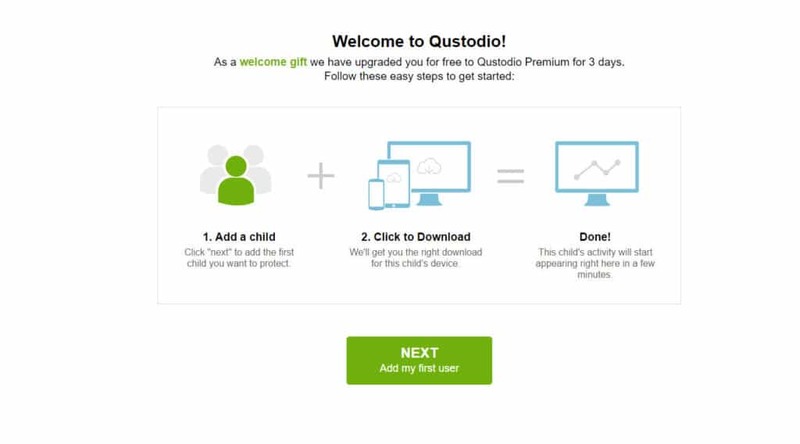 It’s additions like these that give Qustodio those small advantages we look for in parental control software, and shows that the company really is invested in making sure that you get everything you could possibly want out of a full set of parental control tools equipped for the modern child. During our tests, Qustodio consistently performed well above the grading curve in terms of what it stopped, what it let through, and what hit as a false positive. In many of the same scenarios where other parental control options were tripped up, Qustodio seemed to know almost intuitively which websites were okay to see and which weren’t, and this is after we already had it strung up to the nines with custom configuration options. Unlike some social network monitoring services that may take upwards of 24 hours before they update any activity, Qustodio uses its app privileges to immediately give you a window into what your child is posting as soon as they post it, as well as any comments that pop up on their own status updates. You can also go through the entire history of anything that’s on their Timeline regardless of its Privacy setting, something we’ve only seen on Qustodio to date. 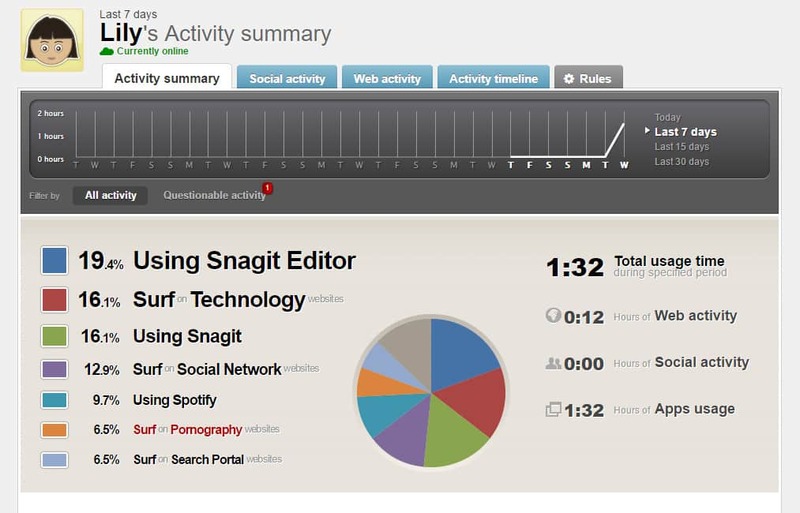 Overall the performance of the filtering software probably hit about 98% of the terms we threw its way for accuracy. That said, some parents might want to be careful enabling tricky sites like Twitch.tv or Youtube, where some channels are perfectly okay and others are very much not, so knowing what content they watch ahead of time is really the only way to get this configured right. One feature we did miss here was some kind of reporting or access request response, which would allow your child to directly ping you if they’re getting blocked on a site that might actually be okay for them to see. If the parent has notifications set up they’ll instantly be able to see what was blocked, but getting it greenlit means they’ll have to find a desktop and clear the site manually from the browser dashboard. 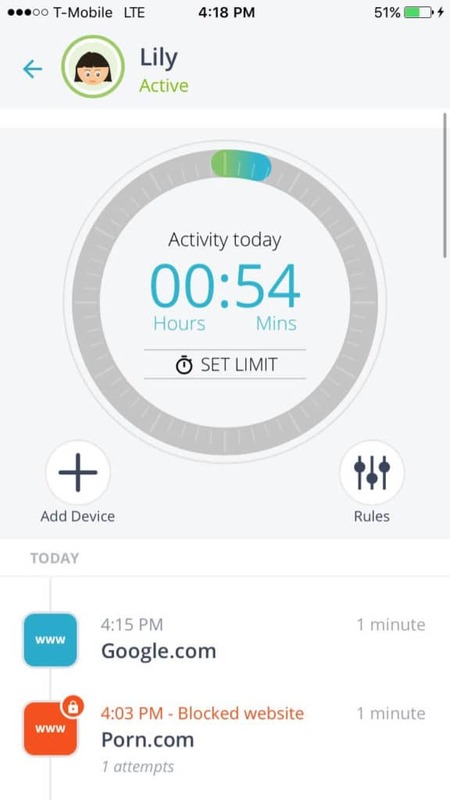 Qustodio comes in both a Free and Premium version, with the Free option only covering one device at a time with fairly limited activity monitoring options included. As we mentioned earlier, all new Qustodio accounts are automatically upgraded to a 3-day Premium membership regardless of whether you intend to buy or not, but if you do, here’s how the subscription model breaks down. The first option (the “Small” plan) covers three devices in total with unlimited accounts allowed for each, at $39.95 per year. The “Medium” plan gets you protection for up to 5 devices at a time, and runs for $54.95 a year. Finally there’s the “Large” option which protects up to 10 devices for $96.95 per year. If at any point you need to add more devices to your plan, Qustodio offers an easy upgrade pipeline that will only charge you for the difference between your old subscription and the new one, rather than making you pay for a whole new membership upfront. Lastly, Qustodio also has options available for schools, business and enterprise customers, though with custom quotes required for each it’s not possible for us to break down the exact details of their pricing structure in this review. Qustodio offers just one customer support option through a ticket submission page, and the company says they try to get back to all their customers within 1-2 business days. Something we found a little odd was a small note at the bottom of the contact page which claimed that Qustodio Premium Users get priority response”, which seemed like a bit of a lowbrow sales tactic to try and get people onboard if I’m being honest. Qustodio may not have the most easily pronounceable name out there, but what it lacks in brand clarity it more than makes up for with its stellar parental control options that stretch across every platform imaginable. The software combines an industry leading control dashboard with a solid UI, extensive feature list, and rock-solid performance. Yes it’s pricey but I assure that you get what you pay for here, and if you’ve been on the fence about parental control until now – don’t wait any longer, grab Qustodio today.